Fireplaces: Home is where the Hearth Is! Hamilton Tile and Stone recently finished a project for Lee and Sheila in Murrieta. Man what a treat it was to work for them. Such nice people and great taste. It was a pleasure working with the glass mosaic they chose. Being a tile contractor sure has its fun days. 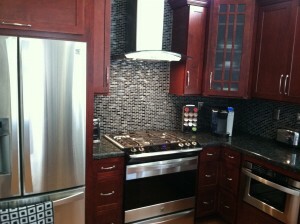 I love it when my work is complete and my customers are pleased with their selections. 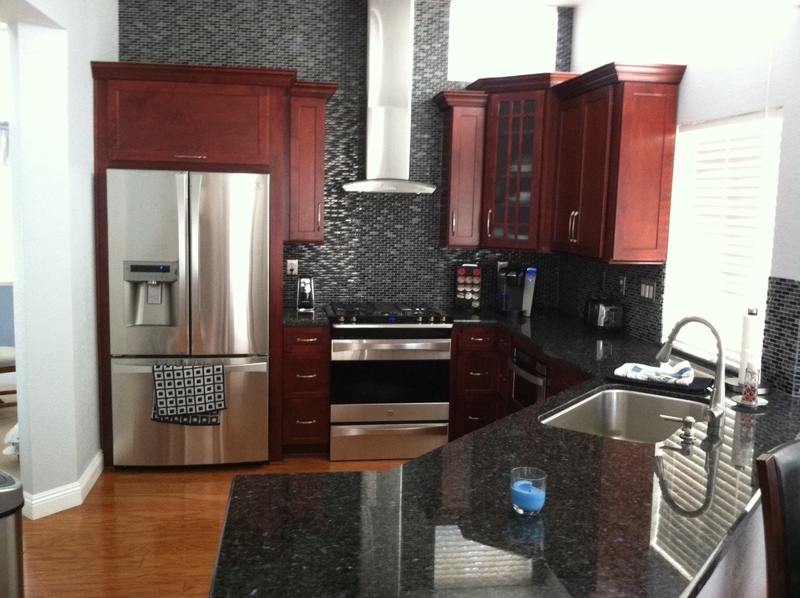 In this case, I think they new their kitchen was going to look good, but had no idea we could make it look this awesome! With glass tile gaining popularity in recent years, it’s sure to be a favorite for many to come. 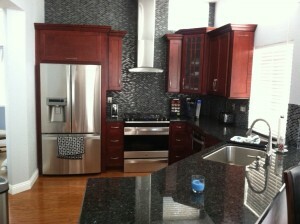 If you would like to dress up your kitchen and “wow” your friends and family, feel free to contact us. We can take care of it for you! This entry was posted in Uncategorized and tagged Glasstile, Kitchen backsplash, mosaic tile, Murrieta Tile Contractor, Temecula Tile Contractor. Bookmark the permalink. Both comments and trackbacks are currently closed.